I was directed to it by Leonas Jarašius and his LIFE-Aukstumala team, who are engaged in establishing a major restoration and conservation programme for the legendary Aukstumala Bog in Lithuania and for which they have a great website. I was introduced to Leonas at the recent excellent Cumbria BogLIFE Conference and this link with Lithuania is now one of those happy spin-offs from that conference. It was written more than a century ago but it should arguably still be used today as a core textbook for all peatbog scientists. The fact that it is not, highlights an increasing and worrying trend in modern science. There is a growing tendency in scientific academic circles (and academic teaching environments as well) to assume that papers or textbooks written much before the 1990s are somehow no longer relevant, are ‘out of date’, have passed their ‘sell by date’ and are thus discouraged or frowned on by the editors of today’s scientific journals or reviewers of university courses. 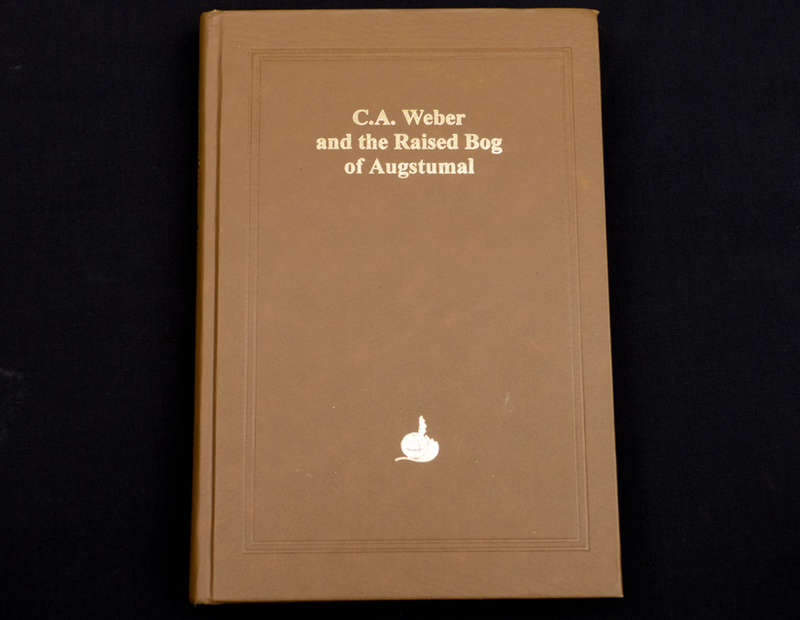 Few publications can demonstrate the profound error of this attitude more than C A Weber’s account of the Augstumal raised bog (modern-day Aukstumala raised bog) published in 1902 and translated illuminatingly into English by John Couwenberg, with additional edited information by John and Hans Joosten in 2002 – though now alas this excellent translated volume is out of print. This extraordinary monograph sheds light of great clarity on a great many aspects of raised bog ecology, yet little of what is written so lucidly by C A Weber more than 100 years ago is acknowledged – or even recognised – in today’s peatland scientific literature. We may be able to measure more elegantly, we may be able to investigate to finer levels of detail, but the fundamental understanding of ecological processes is not necessarily better – and indeed may often be very much worse – than the understanding which Weber sets out in his monograph. We need to remember that sometimes the past can illuminate just as much as the present.